How is winemaking like baseball? Sorry, but there is no punchline to this one (e.g. “the bottom of the 5th and the bags are loaded.”) No, this is about an interesting fact I learned during my vineyard and winery visits during the 2012 harvest. As I processed the information, it made me think about how a similar situation exists in baseball (as well as other sports.) Before I lose everyone in the analogy, let me review what I learned during harvest. We were out at an unnamed winery and I was watching the winery team process a batch of fruit that had just been trucked in. Now, this fruit was from the winery’s own vineyard, picked by its own crew….but apparently a couple of rocks had crept into the 2.5 ton bin that was being processed. It was easy to tell, because rocks sound different from grapes when they fall out onto the stainless steel sorting equipment. Not surprisingly, rocks aren’t desirable when making wine, as they don’t have a lot of juice in them. While these rocks were clearly an aberration, one of the winery workers explained to me that wineries who purchase fruit from third-party vineyards sometimes have issues with the incoming bins. Apparently some vineyards add either water or rocks to the bins full of grapes in order to increase the weight of the bins, which allows them to charge more for the fruit (or, conversely, deliver less fruit than contracted for). I was told of one particularly unscrupulous vineyard which had a long history of sending “dirty” fruit over. However, I was also told that this year their deliveries were much cleaner and truer than ever before. My source went on to tell me that this change was due to this being the last year of the third-party contract, and they were obviously hoping to be able to sign an extension at favorable terms. Because grapes sell for thousands of dollars a ton on the open market (price depends on type of grape and demand), these contract negotiation years are critical. This story instantly made me think about baseball players who strive to have terrific years when they are in the last year of a contract, in order to maximize their leverage when discussing a new deal. I heard another interesting tidbit during the last couple of months, also about third-party procurement of grapes. Some folks were talking about “Brix caps,” and I asked for an explanation. 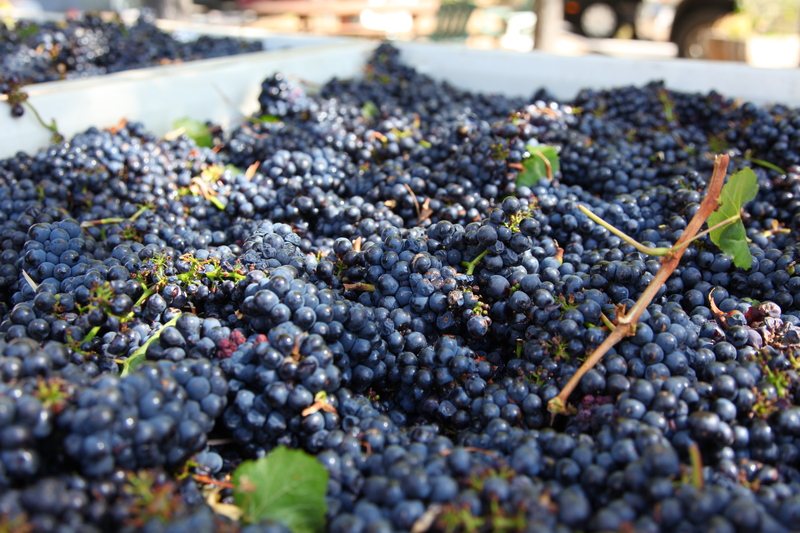 Sometimes when a winery signs a contract to buy fruit from a third-party vineyard, the buyer will specify that they want the fruit to attain a certain high-level of Brix (e.g. 28°) before the grapes are picked for shipping. The selling vineyard can either agree to the terms, or they can say “no, I will cap you at 26º Brix and that’s all you get.” (That’s where a “Brix cap” comes in.) Being the rube, I asked why it mattered to the seller. The answer I received was that grapes get lighter as the Brix (sugar) increases. There is less juice and more sugar, so the grapes weigh less. So, you need to use a lot more high-Brix grapes to make a ton under these specifications. Not surprisingly, many sellers just won’t agree to these kinds of requests, or they will do so for a higher price per ton. So, at the end of all this I learned that, in sports as in winemaking: negotiations are important; having a statistically great year at the right time is critical; and cheating will occur when people think they can get away with it.